Is it too soon to dress up? 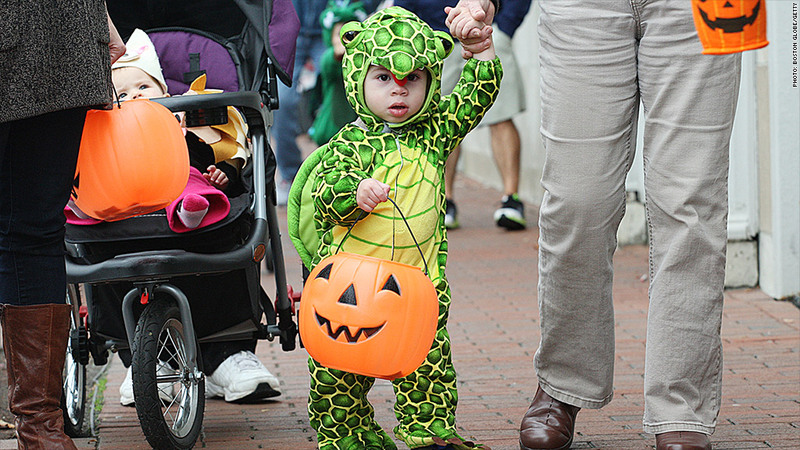 Trick-or-treaters can buy their Halloween costumes nearly two months in advance this year. Halloween pop-up stores are already open in several locations across the country, earlier than in past years. Spirit Halloween, which operates 1,100 temporary stores in North America, said some locations opened in mid-August. More opened over Labor Day weekend and the company plans to launch 95% of its stores by the end of September, according to Spirit spokeswoman Trisha Lombardo. The early start is "likely part of the broader trend to extend the selling season," said Christina Norsig, founder of PopUpInsider, an online marketplace for temporary retail space. In New Jersey, there are 20 Spirit Halloween stores already open, according to the company's website. Stores are also open in California, New York, Illinois and several other U.S. states and Canadian provinces. Halloween City, a division of Party City, has also been opening pop-up locations. Stores in Texas, Michigan and Florida opened last week. The company says it has hundreds of locations nationwide. Halloween pop-up stores have exploded in the past few years as consumers spend more on holiday festivities, said Will McKitterick, a retail analyst at IBISWorld who has followed the trend. The number of Halloween pop-up stores reached 1,706 last year, a 30% increase over four years, according to McKitterick. Spirit said its store count has grown 5% this year compared with 2013. But analysts say the boom in Halloween pop-up stores could slow as it becomes more difficult and costly to rent storefronts temporarily. "Falling retail vacancy rates will most likely ensure that pop-up stores grow this year at a slightly slower rate than in 2013," said McKitterick. PopUpInsider's Norsig agreed that the growth in Halloween pop-up stores could slow this year, adding that "there is a market saturation on the concept." "The year before last, these shops were sometimes two on the same street," she said. Not only are Halloween pop-up stores opening earlier, but they are also staying in business after the holiday to unload discounted merchandise, Norsig added. In a sign that the concept may have peaked last year, Norsig said one Ricky's pop-up Halloween store in New York City was offering pet costumes.